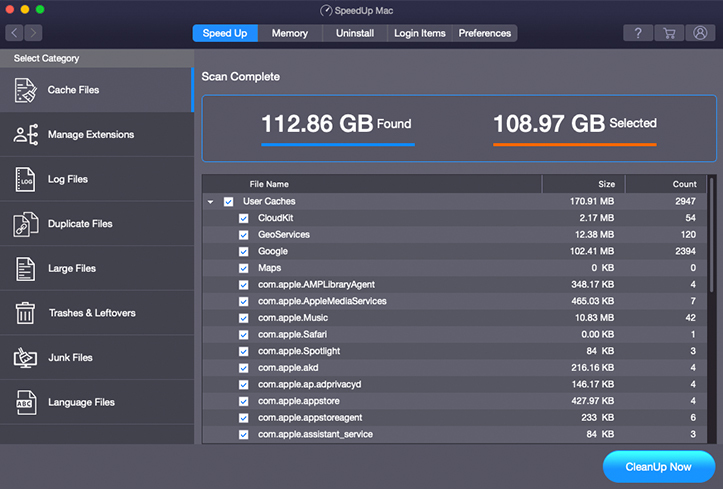 Run Speedup Mac tool to clean up hard drive from Junks, Duplicates, Unused Large files, Language files, Caches, Logs, Leftovers and Trashes. Get rid of unwanted Apps, Widgets & Plugins. Scour the hard drive to identify duplicates and removes them permanently from your Mac using Stellar peedUp Mac. Find an easy way to weed out large files and recover hundreds of gigabytes on your hard drive using Stellar SpeedUp Mac. Wipe applications including all associated files and metadata by dragging them into Trash from your Mac. 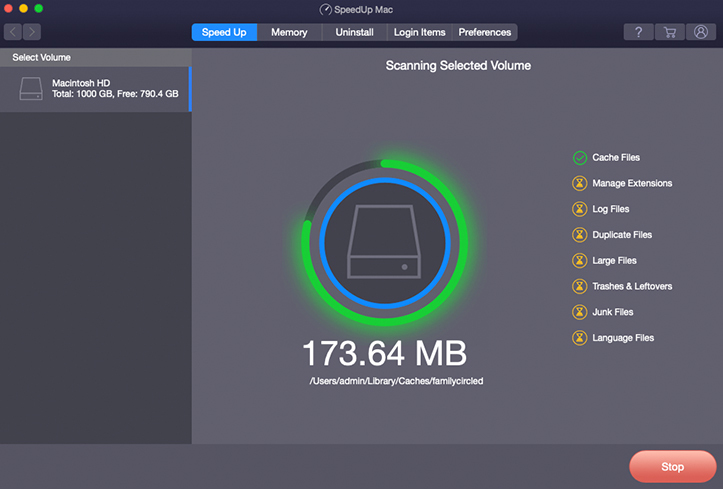 Accelerate Mac performance by removing unwanted files, System junks, application leftovers, and other unwanted stuff from your system. This tool justifies its name perfectly. It really boosted my Mac performance and cleaned about 3GB of space in drive. Thanks to Stellar for Speed Up Mac software and I would like to recommend it for users having problem of slow Mac." 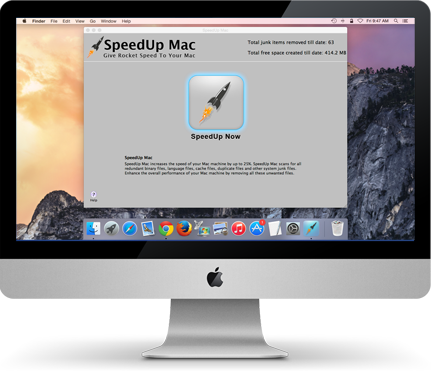 Speedup Mac is nice & polished tool that cleans up debris that inevitably gets piled up on Macintosh HD. 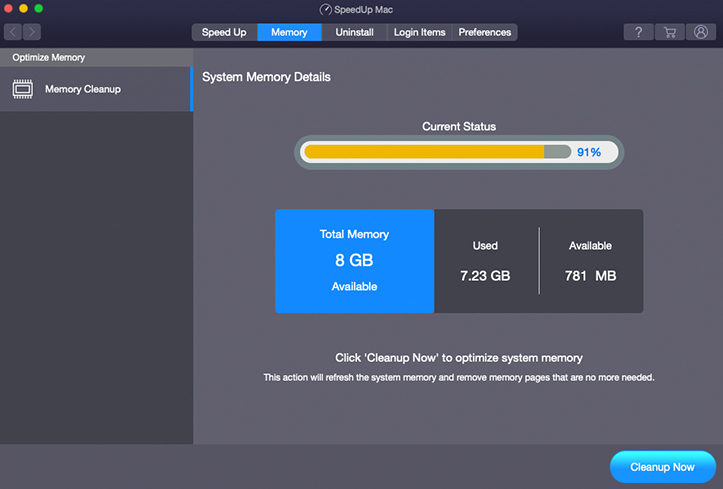 One of the safest Mac cleaning application I encountered. Why a message pops up every time I drag an application to the Trash bin on my Mac? Answer: The Automatic Uninstaller feature of Stellar SpeedUp Mac allows uninstalling an application when you drag it into the Trash. As the 'Enable Automatic Uninstaller' option is active by default, SpeedUp Mac Uninstaller is launched automatically when you trash an application. As a result, a message pops up asking you to uninstall the concerned application. You can disable this option by navigating to Uninstaller Settings and deselecting the corresponding checkbox. How can I set preferences for language files in Stellar SpeedUp Mac? On the toolbar, click 'SpeedUp Mac', and then choose 'Preferences'. Select the 'Languages' tab and you will see a list of language files. In the 'Select Language files to scan for' section, select the language files to be removed. You can choose to view the scan results as grouped by software or grouped by language. Click 'OK' to save the preferences. I need to clean up the boot volume of my Mac. Which option of the software should I use? 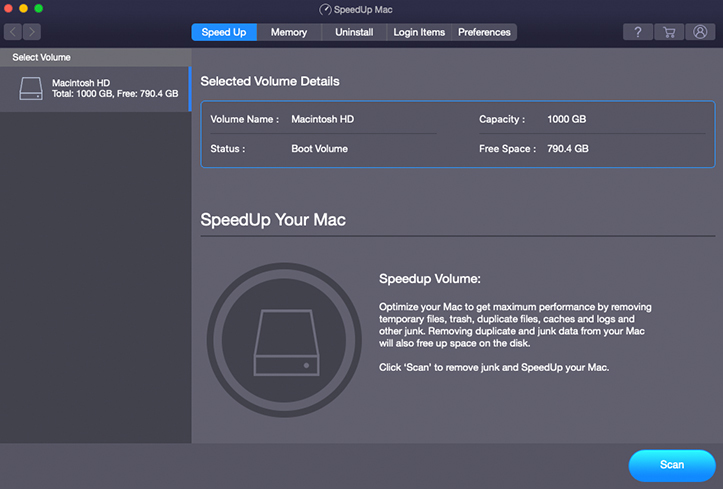 Answer: You should use 'SpeedUp Mac' module of the software to remove unwanted logs, system junks, trashes, leftovers, and other unnecessary data from your Mac boot volume. Can I restore language files after deletion with Stellar SpeedUp Mac? Answer: No, the software cannot restore language files. You can get them by reinstalling the corresponding application or Mac OS X.